DCW took part in a Witness Seminar on The development of waste management in the UK c.1960-c.2000. The transcript has been published as Volume 56 of a series published by what is now the Wellcome History of Modern Biomedicine Research Group at Queen Mary University of London. The book is free to download, or can be purchased for £6 ($10) from any good bookshop by using the ISBN 978 1 91019 5062. The Witness Seminar is a specialized form of oral history, where a number of individuals associated with a particular set of circumstances or events are invited to meet together to discuss, debate, and agree or disagree about their memories. The meeting is recorded, transcribed, and edited for publication. This volume on waste management is a relatively new departure for the Wellcome series, following just one previous volume on Public Health. The scope was developments in the waste management industry and the production of waste in the UK since the 1960s, with a particular focus on London. A total of 25 people were invited to take part in the seminar in February 2014, of whom 16 were able to attend. 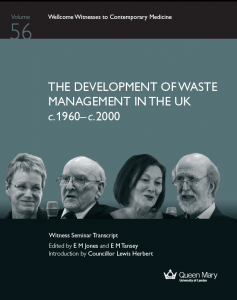 According to the blurb: ‘The volume includes testimonies from former refuse collectors, senior municipal waste managers, policy makers and academics’. 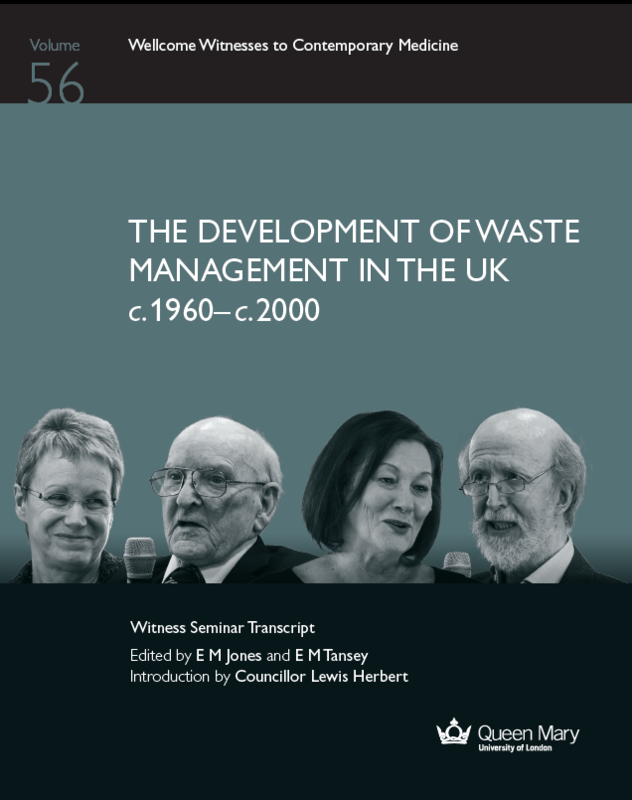 The Seminar was chaired by Dame Joan Ruddock, who as an MP initiated two important pieces of waste legislation, and the volume has an introduction by Councillor Lewis Herbert, who chaired the Greater London Council (GLC)’s Environmental Panel in the 1980s. A series of six more detailed interviews were undertaken after the seminar, and these are also available online. The undoubted ‘star’ of both the seminar and the subsequent interviews was Ernie Sharp, who worked his way from dustman to Assistant General Manager for solid waste management for the GLC, and who obtained his MPhil at the age of 88. Ernie passed away earlier this year, and is sadly missed: the book is dedicated to him.